Victor Combita is a cocoa farmer and community leader from San José del Guaviare in the heart of the Colombian Amazon. For many years, his region was the epicenter of Colombia’s civil conflict . It is also among the states with the highest deforestation rates , as a result of livestock, coca production and illegal timber clearing. Combita, however, seeks a different path. Alongside several hundred farmers, he runs a sustainable cocoa co-operative, providing high-quality Fino de Aroma cocoa  while also protecting and restoring forests. It is for farmers like Combita that Colombia’s joining  the Cocoa and Forests Initiative  today is so significant. The Initiative, which began in 2017 in Ghana and Côte d’Ivoire, aims to create a global movement for zero-deforestation cocoa. What better region for this type of production than the areas adjoining some of the world’s most intact and important tropical rainforests, such as the recently enlarged Chiribiquete National Park ? Victor Combita, shown here, runs a sustainable cocoa cooperative, alongside several hundred other farmers in San José del Guaviare, Colombia. Colombia joins the initiative  as part of its engagement in the Food and Land Use Coalition , a public-private collaboration to develop strategies for sustainable rural economic development. Unlike in West Africa , cocoa production has not caused significant deforestation in Colombia. Other drivers like livestock and coca production, illegal timber, mining and infrastructure development are responsible . Recent rates of deforestation have skyrocketed  in the country, largely attributable to the paradox of Colombia’s new-found peace: Areas that were once off limits to development as a result of the presence of illegal armed groups are now quickly being converted to agriculture and other uses. The Government of Colombia believes cocoa can be a solution to this problem, as part of a concerted strategy to close pristine forests to development and restore degraded areas of land with agroforestry-based cocoa. This type of production happens in tandem with nature—cocoa plants grow beneath the shade of on-farm trees . Progress to date is heartening: From the Amazon to the Pacific, Colombia has invested in thousands of hectares of agroforestry-based cocoa schemes, taking pressure off biodiverse natural forests and restoring ecological health to degraded landscapes. The result is deforestation-free cocoa. Colombia’s cocoa has also been positive for rural development and job creation in remote areas, which were beset by conflict for decades. 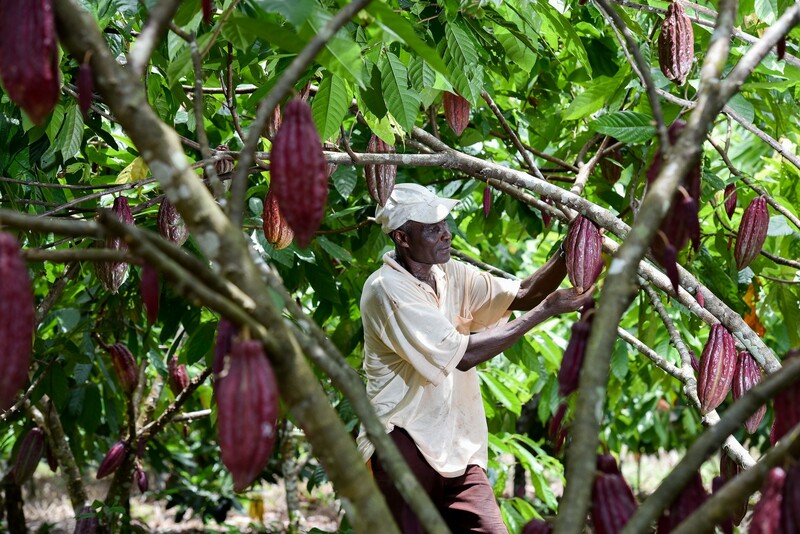 Ex-combatants now find decent work on cocoa cooperatives , supported by the National Cocoa Federation , the company Casa Luker , the Ministry of Agriculture and Rural Development and the international community. Colombian _campesinos _previously involved in the production of coca, a plant used to make cocaine, have found a viable alternative in cocoa—without the violence associated with the coca trade. Smallholder farmers with one or two heads of cattle per hectare have been able to diversify to include cocoa and timber on their farms. Colombia has experienced record floods and droughts  in recent years, fueled by climate change and exacerbated by the climate phenomenon El Niño. 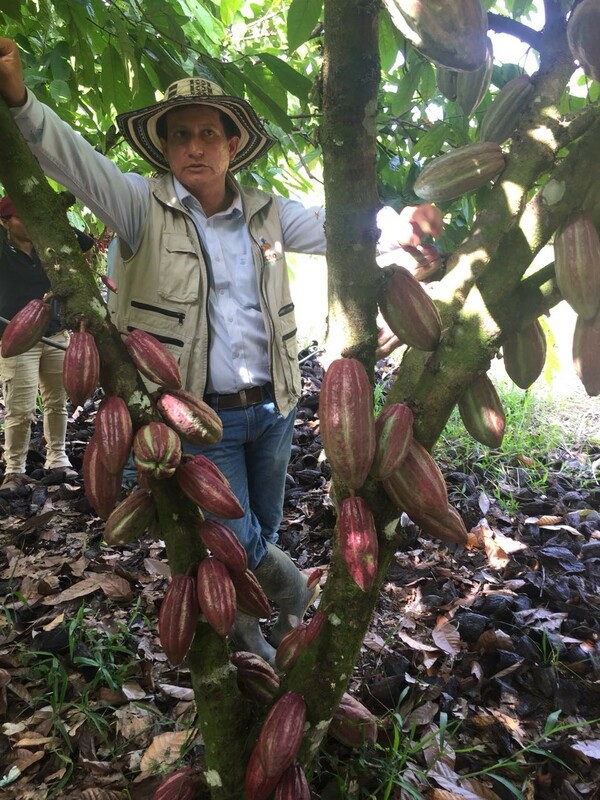 Agroforestry-based cocoa, coupled with a “silvopastoral” approach to livestock management involving more trees in the landscape, has enabled farmers to adapt to Colombia’s changing climate and become more resilient. And new, more productive, drought-tolerant varieties of cocoa, developed in partnership with the International Center for Tropical Agriculture (CIAT)  and the Colombian Agricultural Research Corporation (Corpoica ), have enabled greater yields to be harvested from existing agricultural lands , raising farmer incomes and productivity. The future of the Colombian peace process rests to a significant degree on how the country delivers a better future for its rural communities. The Colombian Peace Agreement attaches great importance to “integrated rural reform ,” the provision of viable alternative livelihoods for smallholder farmers coupled with land tenure rights , better infrastructure and access to markets. Colombia’s Fino de Aroma cocoa has a distinctive quality – fruity, nutty and flowery – and therefore an important niche in the market. As both deforestation-free and “peace-friendly,” Colombia’s allegiance to the Cocoa and Forests Initiative will generate greater global market interest in Colombian cocoa. The World Cocoa Foundation  counts as its membership many of the world’s largest traders and producers of cocoa. Its support  for Colombia’s entry into the Cocoa and Forests Initiative sends a powerful signal. 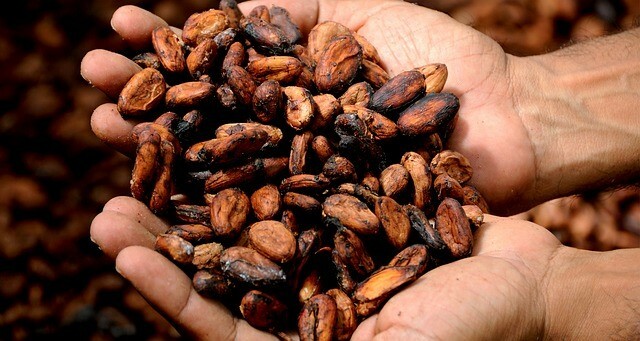 The Colombian chapter of the World Economic Forum’s New Vision for Agriculture , hosted by IDH, recently selected cocoa as one of its focus commodities – another encouraging sign that the future for the sector is bright. Colombia is at an important crossroads. The government of President-elect Ivan Duque takes office next month with an encouragingly strong commitment to rural development, ecosystem protection and market transformation. The stage is set for success. For Victor Combita, and thousands like him, there is a bright future in which peace, forests and cocoa all prevail – in Colombia and the world at large.